Austrian Grand Prix – In Formula One, the very first person you have to beat is your teammate. So who did just that in Spielberg? Let’s go through the teams and hand out the TMB points! Click here to read the rules to which the drivers are being judged. 1 point is awarded to the driver who sets the faster lap. 3 points are awarded to the driver who performs best in qualifying. 5 points are awarded to the driver who performs best on race day. Ericsson’s stoppage on the pit straight on Lap 20 looked so catastrophic that I actually had him marked as DNF in my race notes until the mid-point of the race. Unfortunately, the only reason I noticed his continued participation was due to him stopping again with a similar problem. His constant electrical failures forced him to Ctrl + Alt + Del his way to finishing the race, something he surprisingly managed to do. Combined with his early travails and misfortune, beating the fully functioning Manor of Merhi was no mean feat. Nasr, by comparison, had a great race which ultimately ended with no reward. Starting from 8th position, he held this through the opening half of the race while fending off the attentions of Carlos Sainz. Maintaining track position ahead of the Toro Rosso, the Sauber was starting to feel the effects of an ailing brake system. Struggling with high brake temperatures, Nasr was powerless to stop the likes of Maldonado, Perez & Ricciardo coming through to claim the last few points places; the Brazilian ended up coming home P11 after a drive that really deserved more. Another strong weekend for Roberto Merhi saw the Spanish racer outqualify Will Stevens by 1.3 seconds in FP1. This was largely due to Stevens spinning off into the gravel on his first run, before hitting traffic on his second. Merhi was caught in the no mans land between Stevens and 18th placed qualifier Kimi Raikkonen, due to being 1.2 seconds slower than the Finn. In the race, Merhi quickly became the sole representative for the team as Stevens became a victim of the Lap 1 melee. Hitting debris from the Raikkonen/Alonso collision, the English driver’s radiator was punctured and resulted in a race ending oil leak. Merhi briefly looked as though a P13 ahead of Ericsson might be possible but with the C34 behaving itself in the second half of the race; Merhi ended up coming home almost a minute behind the Swede. Unlike the heady days of the Marussia vs. HRT vs. Caterham days, Manor are caught in the unenviable position of being outright slowest team. Their two drivers can only realistically hope to fight amongst themselves. With Stevens out, Merhi essentially spent the afternoon driving around and entertaining himself. With no basis on which to compare their race performances, it’s split points for Sunday. *Rounds 1 & 2 were adjudged to be split points, due to non-participation of one or both. Pastor Maldonado’s season is quickly turning around from the rather catastrophic start he endured up until Canada. Maldonado’s qualifying run in Q2 was good enough to get into Q3 until he made an error at the second to last corner on his final lap, and this ended up bringing the two Lotus drivers in different directions for the rest of the weekend. While Pastor qualified 11th, Romain made it into Q3; this was as far as he got though as a hydraulic leak prevented the Frenchman from setting a time that might have elevated him further. With one Lotus in the top ten and the other outside, the team opted for split tyre strategy. Romain started on his mandatory qualifying tyres, while Pastor opted to start on a fresh set of softs. Starting from P9 & P10 after Daniil Kvyat’s grid penalty, both Romain and Pastor lost positions at the start. 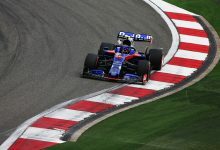 Carlos Sainz managed to get past both of them quickly, including a boisterous move on Romain that looked more like an error than a deliberate outbraking manoeuvre. With Sergio Perez nipping through, Romain settled into 11th place just ahead of Pastor. 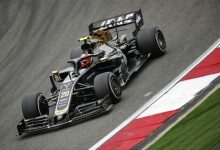 Romain, having had his strategy compromised by the lost positions, swapped to the soft tyres on Lap 23 but retired shortly after with a gearbox problem that sent him flying off the track at Turn 3. Maldonado stayed out until Lap 37 on his soft tyres, swapping then to the faster super-softs. Having dropped to 12th with his stop, he cleared Perez & Ricciardo at their stops, while passing Nasr & Kvyat on track. Stalking Verstappen in the closing laps, he made a move that stuck on the penultimate lap; this included a rather wayward moment that made for spectacular viewing as he fought to control the E23. Race points go to Maldonado. Carlos Sainz’s side of the garage gambled on a wet setup on the STR10 on Saturday. With qualifying somewhat damp, this could have played into Sainz’s hands; instead he missed out on a great Q2 time due to hitting traffic at a bad point on his final lap. No such problems for Verstappen who went sailing on into Q3 and into P7 for the start of the race. 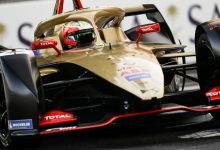 Despite race day being dry, Sainz made the Lotus boys sweat at the race start by vaulting past both of them to run P9 as the safety car came out. Verstappen had also made Valtteri Bottas’ race a little more awkward by nipping past him to take P6 but, with Renault power vs. the DRS enabled Mercedes behind, it surely wouldn’t be long until the Finn was back in front. The move came on Lap 15; Bottas making it look simple as he breezed past the Toro Rosso in a straight drag race out of Turn 2. From there, Max simply kept his pace up and let his strategy play out. Looking set for P7 overall, he lost out to Maldonado at the very death of the race after fending off the Lotus for the preceding 10 laps. Team boss Franz Tost believed this wouldn’t have happened had Verstappen not had to battle his way past stable-mate Daniil Kvyat after his pit-stop, but this is something of a moot point. Stable-mates are not the same thing as teammates and while Tost’s comments could be construed as a heavy hint aimed at Red Bull, let’s assume Franz was just pointing out the one delay that allowed Maldonado those few extra seconds that ended up making all the difference. Sainz, having made his pit stop on Lap 25, was just 8 seconds behind Verstappen when he started suffering power problems. He lost a lot of time as the team fought to rectify it, but he was forced to retire on Lap 35 having lost the best part of a minute in just 5 laps. Qualifying just didn’t fall quite right for Sergio Perez. The Mexican driver could only manage P16, while Nico Hulkenberg took a stunning P5. This wasn’t due to the Le Mans winner suddenly elevating himself to a new plateau of performance, but simply due to Perez’s final quali run in Q1 getting stymied by Fernando Alonso; the Spaniard also on a flying lap. With nowhere for Sergio to go, he didn’t get the chance to put in the crucial last minute time on a drying track. Starting on the soft tyres, Perez produced a great opening half of the race to haul himself into contention for decent points. Despite starting out of position for the expected performance of the car, Sergio was up to P5 on Lap 27 as others pitted for fresh rubber. Weathering the close attention paid to him by the Lotus drivers, Sergio pitted on Lap 38 to switch to the super-softs. Emerging down in 12th, he picked off Kvyat & Nasr before moving up to 9th when Ricciardo pitted. He took the P9 points, but couldn’t do anything about Maldonado up ahead. Hulkenberg had an even stronger race. Maintaining 5th throughout most of the first half of the race, the rejuvenated German only lost out to Valtteri Bottas over the race; this was after a great tete-a-tete out on track. Bottas passed the Force India on Lap 25, only for Nico to immediately pit for fresh tyres. The undercut gave Hulkenberg track position over the Finn again, before he lost out again on Lap 35. 5th was the maximum achievable result considering the performance advantage of the Mercs, Williams & Ferraris, and 5th is what Nico brought home. 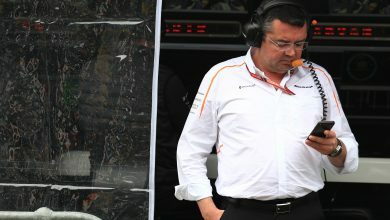 It seems a little harsh to penalise a driver more positions than there are competitors, but that’s exactly what happened to Fernando Alonso & Jenson Button in Austria. 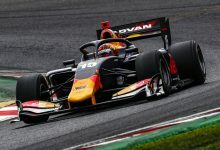 With their pace still severely limited, especially on such a power dependent circuit as the Red Bull Ring, the team were tactfully realistic about their hopes for the race. But even they couldn’t have foreseen just how badly the race was to go for them. Fernando’s race was over within one minute of the red lights going out, while Jenson picked up an almost immediate sensor failure that hampered the already rather emphysemic power unit. He trundled around for a few laps, took his penalty, tried to keep going but was out by Lap 10. For a weekend written off by Fernando Alonso as a ‘test weekend’ before Friday’s sessions had even begun, it was an astonishingly poor weekend; usually a car has to be operational to be useful for testing purposes. There’s absolutely no basis on which to compare the relative performances of the two drivers, particularly in light of the pair running different specifications of the MP4/30. It’s quite likely that this situation will continue while McLaren continue to struggle to participate, as it would be simply unfair on either driver to choose between them in light of their rather dire circumstances. Until some reliability is found, we must wait with bated breath. Kimi Raikkonen’s crash out of the Austrian Grand Prix was a strange one. Not just in circumstance, but the fact that there has been no definitive camera angle to explain exactly what happened; Fernando Alonso’s onboard camera being one of the ones to be switched off during Lap 1. Onboard with Kimi is inconclusive, and outboard shots don’t show clearly what happened. In one of the fan videos doing the rounds this week, Fernando appears to be a lot closer to Kimi’s rear wheel than he suggested after the race but in the absence of any evidence of a collision, we have to assume that Raikkonen simply dropped it. After being eliminated in Q1 after aborting his last lap on a drying circuit, that’s going to test the patience of any employer. For the second race in a row, Raikkonen’s right foot has failed to control the wheelspin of his car leaving a right hander – this was something he struggled with in 2014. Notably, the 2014 power unit was ‘spikier’ in terms of power delivery. With Ferrari introducing engine upgrades for Canada, Raikkonen’s errors have coincided with the update. However, this doesn’t excuse him. Alonso dominated him last year, and Vettel is slowly but surely doing the same this year. Neither made the errors that have crept into Raikkonen’s driving in recent seasons, and Vettel’s performances are leaving no doubt in the minds of observers as to whom is leading the team. Vettel’s Austrian weekend was as good as could be expected for a strong driver in the second best car, although Ferrari need to sort out the pit delays that could end up costly by season end as Williams continue their push. Click here to read why Ferrari need results, not excuses, from Kimi Raikkonen. Qualifying ended up being the biggest differentiator of the two Williams boys in Austria. The 0.127 seconds that separated the pair in Q3 meant that Felipe Massa started from 4th position, Bottas from 6th; crucially split by the Force India of Nico Hulkenberg. Valtteri then made life a little more difficult for himself at the start of the race by losing position to Max Verstappen, but was back in front by Lap 15. Catching back up to Nico Hulkenberg, Bottas produced a brilliant overtaking move to get in front of the Force India. His work was slightly in vain though, as he lost the position again moments later after the Force India undercut him through the pit stop phase. He got back ahead on track, but wasn’t able to make any impression on Massa & Vettel up ahead. This was partly due to a brake issue that the Finn said afterwards ‘needed managing’. He finished 36 seconds behind Massa, having been only 9 seconds behind the Brazilian after the stops. Massa, up ahead, was fortuitous in how he gained his third position on the track, but there was nothing lucky about his holding of the position in the closing .Sp5rl!47rs. 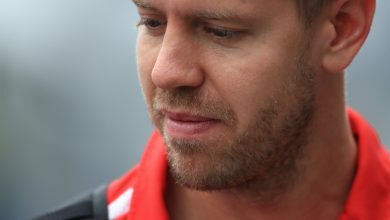 With Vettel’s Ferrari clearly the faster car in the second half of the race, Sebastian could do little about setting about Massa for a pass; he settled for fourth on a day where Williams, once again, capitalised on small errors from Ferrari. 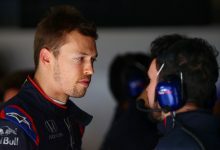 Ever since Daniil Kvyat got the better of Daniel Ricciardo in Monaco, his confidence seems to have shot through the roof and propelled him to the level that was expected of him at the start of the season. Beating Ricciardo in Canada, he did himself proud again on Saturday in Austria by taking 8th position. Having beaten Daniel by 0.3 seconds in Q2, he was the only Red Bull man into Q3 as Daniel explained his lowly P14 as being due to sacrificing downforce due to his grid penalty as well as a braking issue. With both men taking grid penalties, Kvyat started from P15 & Ricciardo from P18. Kvyat’s race quickly went to pot though, as he struck some debris from Raikkonen & Alonso’s collision and had to pit for repairs. Falling to the back of the field with a damaged underside on a car that was lacklustre even when unblemished, the Russian’s race was one of hoping to get lucky somewhere. Nothing happened to change his fortunes though, and he would wind up in 12th position at the flag. Daniel, starting on the soft tyre, ran to Lap 50 and as high as P8 before he made his one and only stop. He emerged in 11th, and proceeded to hunt down Felipe Nasr to take the final points position. Race points go to Ricciardo, but you have to think that Daniil would have had the measure of him without his Lap 1 damage. The good news for Nico Rosberg is that he had the measure of Lewis Hamilton throughout the entire Austrian GP weekend. The bad news is that it’s at one of the same events where he had the measure of him last year, suggesting that their respective styles have something to do with their competitiveness at the circuit. Rosberg looked the more settled man through the practice sessions, and should have taken pole position. 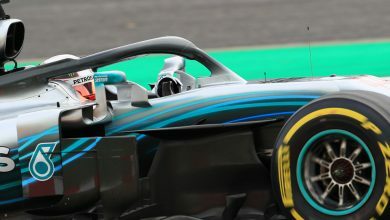 However, a relatively poor first flyer in Q3 coupled with his last second error meant that an otherwise low-key Lewis Hamilton pulled it out of the bag. 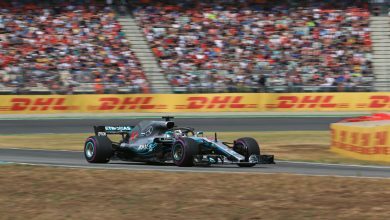 Lewis Hamilton’s mild suggestions after the race that his unhappiness with the clutch bite point allowed Rosberg to make the better start; the race’s defining moment. Rosberg nailed his start, something he also did in Canada, and took the inside line into Turn 1. Halfway around the lap, the pair were still squabbling before the safety car put paid to any Hamilton fight-back. From there, Nico pretty much controlled the race in a manner we’ve rarely seen since the start of Mercedes’ dominance; pulling off a great victory to close the championship gap back to ten points. Hamilton looked slightly off his game in Austria, particularly making the error that led to his penalty, but was still very much in the hunt for the win. Rosberg, by comparison, struggles to keep with Hamilton on his off days. Despite this, he has won three of the last four races. Has he really unlocked the race pace problem that has plagued him for a season and a half like he claims? Time will tell.